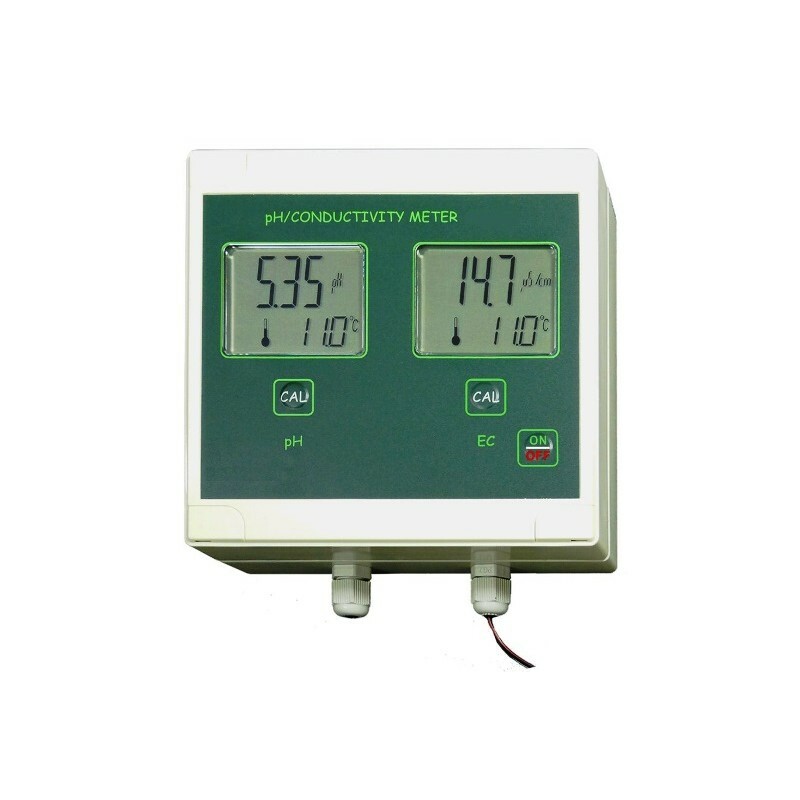 The meter is used for continuous measurement of pH, conductivity and temperature. May be used in agriculture for controlling parameters of the liquids during drip irrigation, it may also be used for measurements in aquariums. Waterproof housing (IP-65) enables work in difficult conditions. 2 displays enable simultaneous observation o the pH, conductivity and temperature measurement results. 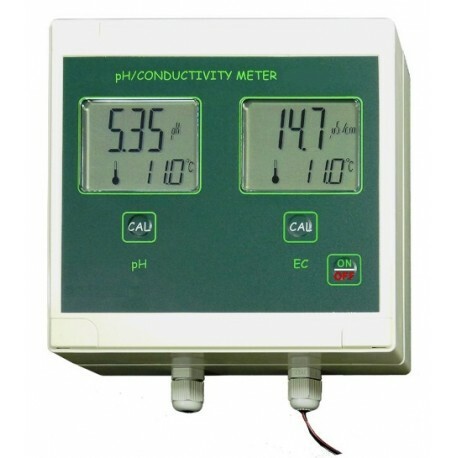 Isolated pH and conductivity circuits enable measurements in this same vessel or tank without any problems. After choosing a right type of measuring head, with electrodes, may be used for measurements in pipelines or tanks. Στη τελική τιμή συμπεριλαμβάνονται: τα ηλεκτρόδια πεχά, αγωγιμότητας, ο αισθητήρας θερμοκρασίας.